I'm in the process of producing a short documentary for my final media project at University, one of the sites featured is St Mary's Island. Awakening to glorious sunshine I headed down to film the waders. 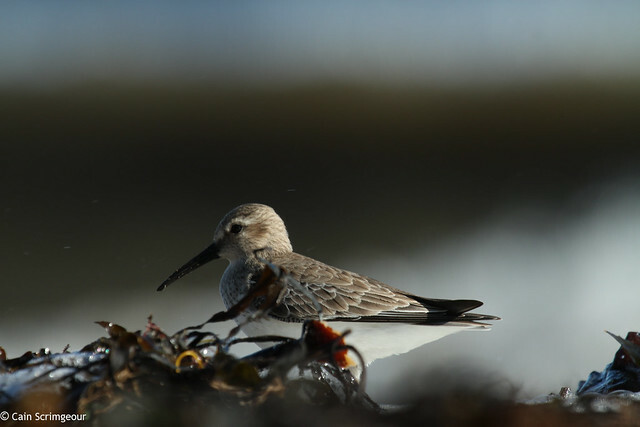 John was already on the beach, at its northern end, where the majority of the birds were concentrated, being pushed gently closer as the tide came in. Sanderling, Knot, Dunlin, Bar-Tailed Godwit, Ringed Plover, Redshank, Golden Plover, Grey Plover, and Purple Sandpiper were all present, along with Rock Pipit, Pied and a single Grey Wagtail. I didn't set out to take any images, but snapped a few whilst filming. Experimenting with a few filming techniques I noticed two colour ringed individuals, one Sanderling and one Turnstone, I've reported both, hopefully some info will be returned. 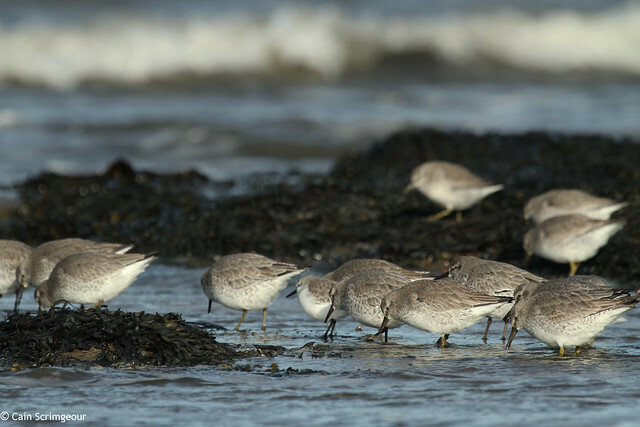 The wind soon began to pick up, as did the waves causing a very mobile group of birds to feed rapidly up and down the beach. A quick stop in at Red House Farm on the way back was surprising, finding that last winters Tree Sparrows had returned. I'm hoping to get some boxes up over the next couple of days, to see if they'll hang around. 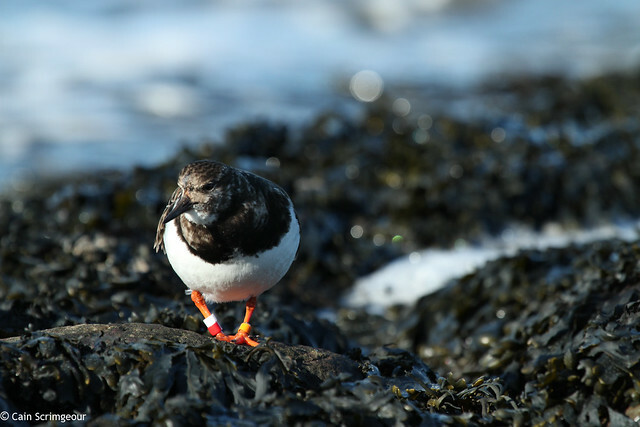 Fabulous photos... particularly like the turnstone. I ventured down to St Mary's today but sadly the tide was in so found myself at the dene instead. thanks :) did you get much in the dene ? 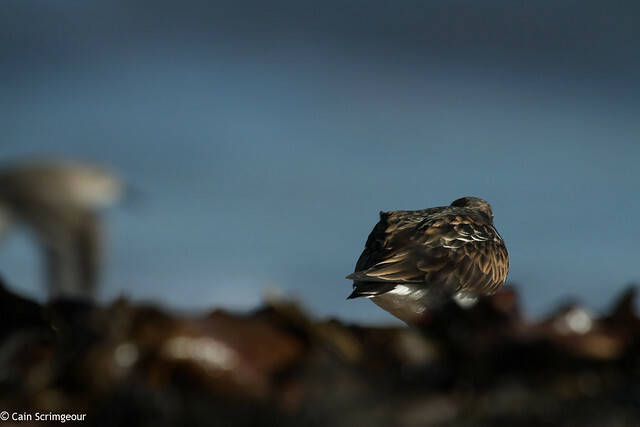 Great shot of the Turnstone facing away. I like to see photos like these where they are not cropped to tight and show the context the subject is in. Nice one. Thanks :) I generally try and frame the image in camera, rather than cropping in pc, feels much more natural. I missed something out before, so re-posted, lol. Best of luck with the Media Project!